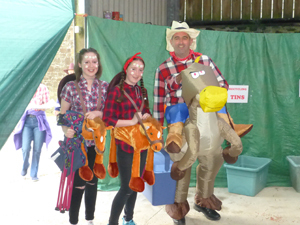 To celebrate the development of our storage at Headon, and as a thank you to the loyalty of our wonderful clients, Friend of Headon, we held a fun day – the Headon Hoedown! The theme was a country fair. 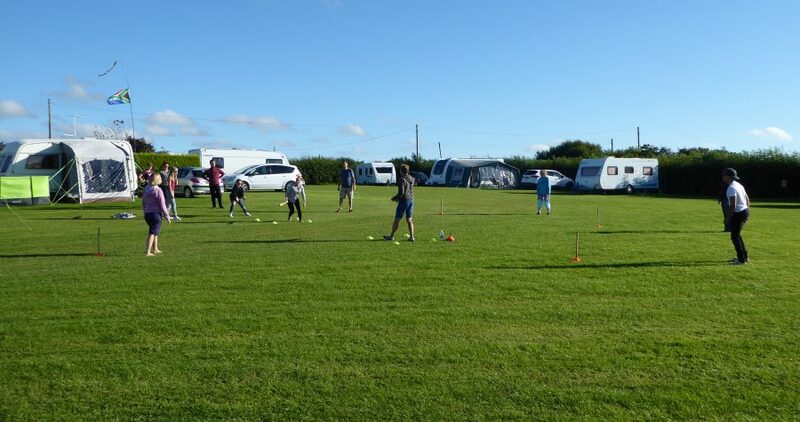 The morning of the Hoedown and the skies were grey however, a wonderful posse of volunteers helped ‘set up’ and by the afternoon the weather had improved considerably. We had various races on the track, egg & spoon, three-legged and sack race. 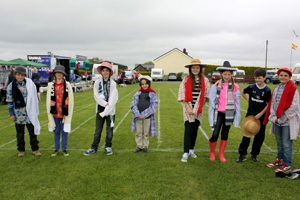 The dressing up races were hilarious! 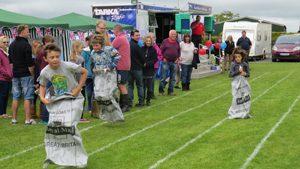 Also going on were Welly Wanging, Horseshoe throwing, a coconut shy, face painting and a colouring competition. 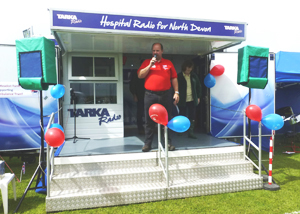 The afternoon flowed with the help of John Lawrence from Tarka Radio, whose outside broadcast unit played appropriate songs for the activities. We were also lucky to have a steel drum workshop which was laid in by the Celebrations Ceilidh band (who played for us in the evening). 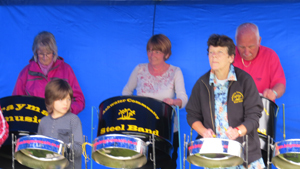 Several people were able to try their hands at playing the steel drums and very quickly were able to perform a tune! In the evening we adjourned to the Barn for the evening’s entertainment – a ceilidh with a caller! Everyone joined in the cowboy/cowgirl competition and there were prizes for the best dressed adults and juniors. The table with the bring and share supper was groaning with wonderful food ! The ceilidh was great fun and everyone was encouraged to have a go by Christine from the Celebrations Ceilidh bank who made the steps very easy. Donations were generously given and we were able to give £160 to Devon Air Ambulance Trust (See certificate) and £160 to Tarka Radio at North Devon District Hospital.